How far is the SWAC behind the Big Ten in NCAA Tournament generated revenue over the last 20 years? That disparity was highlighted by The Associated Press in its analysis of March Madness payouts from 1997-2018. The report probed where the more than $3 billion in payments distributed to conference went during that 21-year period. From 1997-2018, the Big Ten Conference has been paid the most at $340 million, while the Southwestern Athletic Conference has earned $25 million, nearly the minimum it can earn given that all leagues make money from their teams that qualify automatically, according to the article. Figures were not made available for the MEAC. The gap in revenue can easily be explained twofold. First, the Big Ten — and the other Power Five conferences — just have simply been able to get more teams into the tournament. In the 2019 tournament, for example, the 14-team league got eight teams in the field. The SWAC, as we know, only put one team — Prairie View, which lost to Fairleigh Dickinson in the First Four. And with more teams from a given conference in the tournament, that allows for increased opportunities to earn more units, or several million in revenue depending on how far one or multiple teams advance. 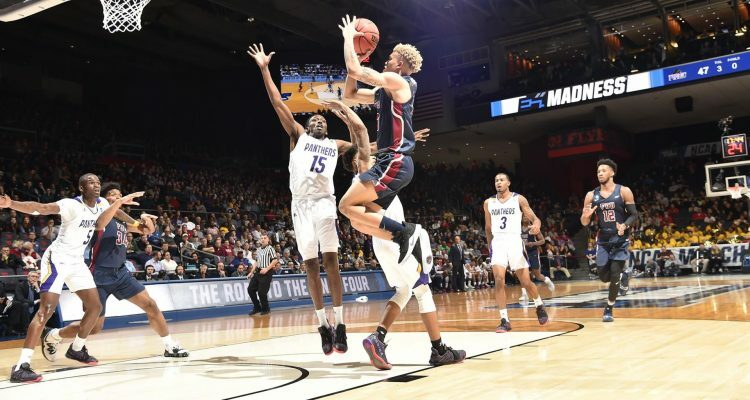 The gap between the HBCU leagues and the upper reaches of college basketball has been steadily growing even with the expansion of the tournament from 32, 64 and currently, 68 teams added to the field, which routinely introduces far more teams from Power Five conferences than mid-major leagues. In 2007, The Mid-Majority Institute of Basketball Research drew a line across the center of Division I. It was a called the Red Line. Above it, conferences with an average school athletic budget of $20 million or more (as measured by the U.S. Department of Postsecondary Education). The Mid-Majority Institute of Basketball Research found that the eight richest leagues beat teams in the smaller conferences over 83 percent of the time. The reality is that the rich in college basketball — with already a multimillion-dollar head start thanks to lucrative conference television deals and millions more in sponsorships and donations — are accumulating even more come March than the less fortunate can ever imagine. Which, if the NCAA actually cared about the institutions in the tournament — at least athletically beyond the hundreds of millions of dollars it gathers in March — it could do something to stifle the widening chasm between the haves and the have nots. The NCAA has already identified black colleges as so-called low-resource institutions and chosen to invest in assisting schools in raising academic performance, particularly as it relates to the controversial Academic Progress Rate standard that some HBCU athletic programs have struggled with. In that vein, it might be just as beneficial for the NCAA to adopt a similar initiative for college basketball. Maybe instead of only one automatic qualifier from the MEAC and SWAC getting a spot in the tournament, how about two if the regular season and conference tournament champions are different? That isn’t all that unusual for one-bid leagues and the difference in talent similar. Doing so would create more financial opportunities for individual schools and the conferences they represent. Granted, it is unlikely that a historically black college will win the national championship in the near future, but at least the preverbal playing field won’t be as woefully unbalanced. After all, the NCAA is about fairness, right? Until then, those in HBCU circles will continue to collectively celebrate when kinfolk schools manage to earn a win in the tournament. That joy won’t all be expressed for the win itself, but understanding all the real obstacles and odds overcome to capture it. Can you provide information on Coach Kevin Nickelberry resigning from Howard University Basketball the other day.